Netflix’s “Skip Intro” feature has led to concern that opening sequences of television shows, which can be artful, meaningful introductions, could be a dying art. The Onion takes a look at the most compelling and defining opening credits sequences of all time. U.S. audiences had never before seen a TV show opening that so brazenly suggested that women can play the piano. The sequence of cast members in a car as seen from the dashboard is a subtle nod to the unique Wisconsin tradition of sitting in cars. 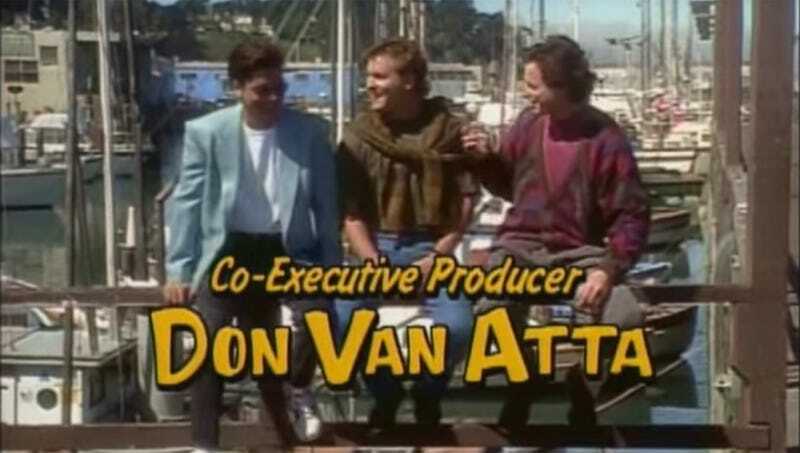 Not only was this sitcom’s intro iconic, it helped raise awareness about the frequency of ottoman-related injuries, which the CDC estimated declined by nearly 45 percent over the run of the series. We actually think this one is too long. Set to Joan Jett’s “Bad Reputation,” the time-lapse opening sequence of the cult show featured its cast rapidly going through puberty in two seconds while screaming in pain. Rewrote all the rules about what objects a character could catch and hold during an opening credits sequence. Usually cut for time after the first season, the opening depicts Alex Trebek working his way up through the brutal trivia underworld. Widely credited with teaching Americans that the world does not move to the beat of just one drum. The lyrical fall from grace of a silhouetted ad genius was punctuated by the sickening splat he made upon colliding with the Madison Avenue sidewalk.